Business Card Maker creates superb business cards and badges that make you stand out of the crowd. Choose from over 150 editable templates or design your own card from scratch, without having to hire a designer. Business Card Maker is a handy application for creating business cards and badges from 150 editable templates. Simply select a template and add your name, photo and contact information. Also you can customize the design of the card to your preferences: adjust fonts, change colors and background. There is also a built-in database for storing information about companies and persons, making it easy to add and re-use data for business cards. Photo calendar software for rapid and easy creation of personalized photo calendars for home or office including annual, monthly, wall, desktop and pocket calendars. Choose from 100 professional templates, add various photos and customize holidays. Geometric and strength designs of helical tension cylindrical springs loaded with static loading. Application supports Imperial and Metric units, is based on ANSI, ISO, DIN standards and support many 2D and 3D CAD systems. Looking for easy-to-use software for digital scrapbooking? Get PhotoMix! It offers 400 free templates and lots of graphics, some free of charge. 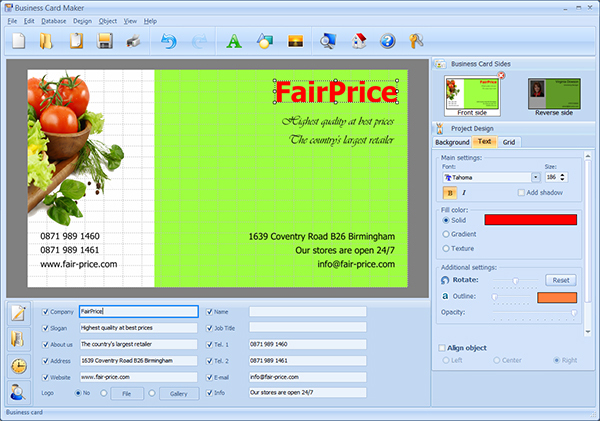 Create collages, save them as digital images or print right away without any limit for page size.